Why Outpatient Rehab May Work Best for You. You might want to enroll in an outpatient program (IOP) if you have a household to maintain with a lot of responsibilities. For instance perhaps you have children or an aging loved one living with you and no one else to watch them while you get treated. Not being able to be there for them can make your recovery a lot more challenging. An outpatient program can be customized to meet your schedule giving you the flexibility you need to be there for your family. Being supported by friends and family during recovery is ideal to helping with treatment. It is their love and support that often pulls you out of your lowest low and encourages you to get and remain clean and sober. For those who have a large family or support system, residing at a rehab takes them away from what they hold dear which can hinder their recovery efforts. Outpatient options allow them instead to get the care they need and then return home to their families daily. Though millions of people are struggling with addiction getting treated for it and/or talking about it are still a bit taboo for some. If you're getting treated, but suddenly go missing for 30-60 days, chances are someone will pick up on this and this can create a sense of embarrassment for you. However, if you're going to treatment and returning home everyday, you can sustain a normal life without anyone having to wonder what's wrong or judging you. Inpatient care requires a lot more money to operate. Not only do you need therapy, counseling, and detox, but you require a place to rest your head, use the restroom, eat, and be entertained. Facilities have to pay for around the clock staff and other overhead costs as well. These costs are passed down to the patients. Without outpatient care, however, you pay thousands of dollars less as fewer services are required. If your insurance does not cover rehab or you can't afford the out of pocket expense, outpatient care can save you money. Though there are laws in place to protect your job in the event that you need to be treated for addiction, there are some who prefer to stay employed while getting help. Perhaps you need the income to support your family or pay for treatment, you don't want your coworkers or employer to find out, or you work in a high level position and don't want to rock the boat. Whatever the case is, you can maintain your career by attending an outpatient program. If you have a family to support, a lot of responsibilities, a network of support in a positive environment, a high-level job, or the need for flexibility and freedom, an outpatient drug and alcohol treatment program may be the best option for you. 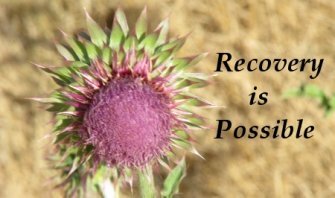 Most drug treatment centers offer outpatient programs that you can enroll in to start your road to recovery.